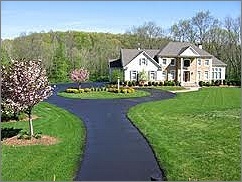 Mark's Asphalt Paving, Resurfacing, And Sealcoating - Coatesville, PA 19320. 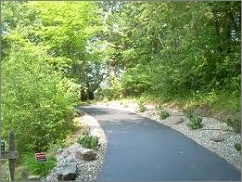 For quality asphalt paving installation, resurfacing, maintenance, or repair, contact Mark' Paving. Our paving company provides a wide range of paving services in the Chester County area to meet your residential, commercial, and industrial needs. We provide asphalt services and repairs for your home, warehouse, hotel, restaurant, farm, gas station, shopping center, or any other type of business. It does not matter how large or small the project - we have the equipment and experience to complete the job. Sealcoat is a liquid that is applied to asphalt to protect it from oxidation and the damage caused by winter cracking, as well as UV rays and traffic. 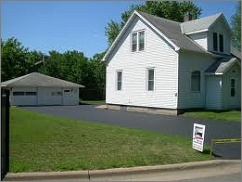 You should apply a good quality sealcoat to your asphalt driveway as often as needed to protect your investment. Sealcoating is needed in cold climates, but is useful in warmer climates as well. Since asphalt is a petroleum product, other petroleum products will react with the surface. This includes vehicle oil and gasoline. The sealcoat will act as a barrier against those materials. A sealcoat is not a crack filling agent; this must be done prior to applying the sealcoat. Properly applied, sealcoat can save an owner huge costs over the life of a hot mix asphalt pavement.